Return in mercy to thy city Jerusalem and dwell in it, as you have promised; rebuild it quickly, in our days, as an enduring structure, . . . Some time ago I told Kirk Sorensen to get ready because his time was coming. His time has now arrived, and far more quickly than I had anticipated. Kirk Sorensen is a visionary. His vision recaptures the vision of Alvin Weinberg. Since last spring there has been a growing Internet buzz about the Liquid Fluoride Thorium Reactor. There can be little doubt of the central role of Kirk Sorensen in creating this buzz. Kirk, after all rebranded the generation old Oak Ridge National Laboratory idea of a molten salt thorium breeder reactor, the LFTR. But he did more than that, he created a forum on which people would be free to think about the vision. Unlike many visions, Kirk's vision had taken real tangible form. I know, because my father had been there, had helped to shape those tangible forms, and he was still alive. I could talk to him, ask him questions, get his recollections of the tangible form of Kirk's vision. "Energy from Thorium" has three parts. The Blog, the Discussion Form, and the document repository. Through the Document Repository, I was able to put together my childhood and youthful experiences of my father, with his own documentation of his research. Although largely unseen, the LFTR had been a part of my life for almost two decades. Much of my father's early work was a covered in secrecy, When I asked him what he did at work, he would reply that his work was a government secret. By the time the work ceased to be secret, the habit of compartmentalization of work and home had set in. Every now and then, my father might say a few words about stories that appeared in the Oak Ridge newspaper. Later he was to complain about a peer review of a paper he had written. "They complain," my father said, "that I refer too much to research that has been done at ORNL. What they don't realize that the research we do here is the best in the world". My father was and is a truly modest man, and a master of the literature review. If my father said that ORNL research was the best in the world, it was because he had good reason to think so. There is no question that when my father started researching molten salt chemistry in July 1950, that ORNL thinking on reactor design was far in advance of of the rest of the world including Chicago. In fact ORNL thinking about reactor design in 1950 was two generations ahead of the rest of the world. The would began to catch up, when NASA asked Kirk Sorensen to look at the idea of putting a reactor into space. As he sought a viable design, Kirk discovered the MSR, but more than that, he rediscovered Alvin Weinberg's vision. Alvin Weinberg had published a visionary essay, "Energy as an Ultimate Raw Material, or Burning the Rocks and Burning the Sea," during 1959 in Physics Today (vol. 12, no. 11, p. 18). In this essay I speculated on the very long-range future-hundreds, even thousands, of years in the future. Where will our energy come from at that distant time when coal, oil, and natural gas have been used up? Solar energy is one obvious inexhaustible source. Another, if it works, could be controlled thermonuclear energy based on deuterium from the sea (thus "Burning the Sea"). 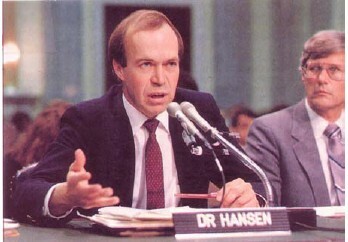 My main point, however, was to stress what Phil Morrison and then Harrison Brown had already noticed: that the residual and all but infinite uranium and thorium in granite rocks could be burned with an energy yield larger than the energy required to mine and refine the ore—but only if breeders, which could burn nearly all the fertile material, are used. I spoke of "Burning the Rocks": the breeder, no less than controlled fusion, is an inexhaustible energy system. Up till then we had thought that breeders, burning 50% instead of 2% of the uranium, extended the energy derivable from fission "only" 25-fold. But, because the breeder uses its raw material so efficiently, one can afford to utilize much more expensive—that is, dilute—ores, and these are practically inexhaustible. The breeder indeed will allow humankind to "Burn the Rocks" to achieve inexhaustible energy! "I became obsessed with the Idea that humankind's whole future depended on the breeder. For Society generally to achieve and maintain a standard of living of today's developed countries, depends on the avaliability of relatively cheap, inexhaustible sources of energy." The achievement of a cheap, reliable, and safe breeder remains the primary task of the nuclear energy community. (In expressing this view, I suppose I betray a continuing frustration at the slow progress of fusion research, even though the Russian success with the tokamak has quickened the pace.) Actually not much has changed in this regard in 25 years. Even during World War II, many people realized that the breeder was central. It is only now, with burner reactors doing so well, that the world generally has mobilized around the great aim of the breeder. As all readers of Nuclear Applications & Technology know, the prevailing view holds that the LMFBR (Liquid sodium cooled fast breeder) is the proper path to ubiquitous, permanent energy. It is no secret that I, as well as many of my colleagues at ORNL, have always felt differently. When the idea of the breeder was first suggested in 1943, the rapid and efficient recycle of the partially spent core was regarded as the main problem. Nothing that has happened in the ensuing quarter-century has fundamentally changed this. The successful breeder will be the one that can deal with the spent core most rationally—either by achieving extremely long burnup, or by greatly simplifying the entire recycle step. We at Oak Ridge have always been intrigued by this latter possibility. It explains our long commitment to liquid-fueled reactors-first, the aqueous homogeneous and now, the molten salt. groups working vigorously on molten salts outside Oak Ridge. . . .
. . . indeed, the enthusiasm displayed here is no longer confined to Oak Ridge. There are now several groups working vigorously on molten salts outside Oak Ridge. The enthusiasm of these groups is not confined to MSRE, nor even to the molten-salt breeder. For we now realize that molten-salt reactors comprise an entire spectrum of embodiments that parallels the more conventional solid-fueled systems. Thus molten-salt reactors can be converters as well as breeders; and they can be fueled with either 239Pu or 233U or 235U. However, we are aware that many difficulties remain, especially before the most advanced embodiment, the Molten-Salt Breeder, becomes a reality. Not all of these difficulties are technical. I have faith that with continued enlightened support of the US Atomic Energy Commission, and with the open-minded, sympathetic attention of the nuclear community . . . the molten-salt reactors will find an important niche in the unfolding nuclear energy enterprise. Alvin Weinberg's 40 year old expression of faith now seems at last to be on the virge of fulfillment, thanks to Kirk's vision and hard work. The first thing that Kirk did was to give the Thorium fuel cycle Molten Salt Reactor a new name, The Liquid Fluoride Thorium Reactor (LFTR). The reason was simple, liquid fluoride sounded far more benign than dangerous sounding term "molten salt". Aside from connotation, LFTR overtly tied the reactor concept to the use of the thorium fuel cycle. We hope the curious will ask, "what is that?" The term LFTR is an opening to tell the story of the Molten Salt Reactor, its safety, its potential to "eat" nuclear waste, to lower reactor costs, and the endless abundance of unused Thorium in the crust of the earth. Nuclear Power. Some discussion about nuclear power is needed. Fourth generation nuclear power has the potential to provide safe base-load electric power with negligible CO2 emissions. The other compelling alternative is to use thorium as the fuel in thermal reactors. Thorium can be used in ways that practically eliminate buildup of long-lived nuclear waste. The United States chose the LWR development path in the 1950s for civilian nuclear power because research and development had already been done by the Navy, and it thus presented the shortest time-to-market of reactor concepts then under consideration. Little emphasis was given to the issues of nuclear waste. The situation today is very different. If nuclear energy is to be used widely to replace coal, in the United States and/or the developing world, issues of waste, safety, and proliferation become paramount. The Liquid-Fluoride Thorium Reactor (LFTR) is a thorium reactor concept that uses a chemically-stable fluoride salt for the medium in which nuclear reactions take place. This fuel form yields flexibility of operation and eliminates the need to fabricate fuel elements. This feature solves most concerns that have prevented thorium from being used in solid-fueled reactors. The fluid fuel in LFTR is also easy to process and to separate useful fission products, both stable and radioactive. LFTR also has the potential to destroy existing nuclear waste, albeit with less efficiency than in a fast reactor such as IFR. Deployment of 4th generation nuclear power can be hastened via cooperation with China, India and other countries. It is essential that hardened ‘environmentalists’ not be allowed to delay the R&D on 4th generation nuclear power. Thus it is desirable to avoid appointing to key energy positions persons with a history of opposition to nuclear power development. Of course, deployment of nuclear power is a local option, and some countries or regions may prefer to rely entirely on other energy sources, but opponents of nuclear power should not be allowed to deny that option to everyone. I believe that we may be sining the dawn of Kirk's day. I believe it is a mistake to use the word "Breeder" to describe the LFTR or the IFR. The old Breeder Reactor program gave Nuclear Power a bad name, since the concept involved producing Plutonium for LWR reactor fuel, thus the very undesirable Plutonium Commerce. Thus the anti-Nuclear fanatics love to link the LFTR or the IFR to the Old Breeder Reactor concept. The correct term to describe both the IFR and LFTR and other similar types of reactors is High Burn Reactors or Burners. These consume LWR nuclear waste and most if not all nuclear fuel. Although technically IFR’s, LFTR’s and also Heavy Water Reactors or LWR’s with a Thorium/Uranium blanket “breed” their own fuel, but even LWR’s breed plutonium and other fissionable isotopes as well, so by that criteria you might as well call all nuclear reactors “Breeder Reactors”. Thus the term Breeder Reactor should only be applied to reactors that Breed Fuel for other reactors to burn – likely LWR’s. The big question for both the IFR and LFTR is: Can they be built for less than $5000 per kw, 2008 dollars? That I believe to be the limit for economically sustainable energy, which works out to about five cents per kwh. With the increased complexity of the IFR and LFTR, the only way they will be able to achieve that goal is by standardization and factory production methods, similar to those used for modern large aircraft construction. After a thorough analysis by unbiased experts in the field, the logical course is to build an IFR and a LFTR, commercial versions, that are designed to be compatible with Factory Production. Alvin Weinberg used the term breeder for both the LMFBR and the MSBR. Breeding suggests a fuel conversion rate of greater than 1 to 1. High burn is a post 1969 term, and would not have been used by Alvin Weinberg in these quotes. i quote my sources accurately and in context, something nuclear critics rarely do. I am glad to see LFTR mentioned in the letter of Dr Hansen. Now is the time for you guys to get ready for prototyping. Anyone might knock on your doors. I think it is unfortunate that the Argonne and OakRidge labs don't talk to each other. Is it politics ? It is weird that there are two designs of breeder reactors and the first team doesn't mention the second, and vice-versa. It will be interesting to see if your (and Kirk's) presentations stop mentioning Uranium for referring to LWRs. You should acknowledge the full possibilities of IFRs. It will be good to see these two competing technologies play out against each other. In my opinion, there are good points with both of them. I used to think like you, but I believe the design for IFR is simpler than the current 2nd generation reactors. Passive safety eliminates the need for active safety equipment and reduces the construction costs. The first prototype plant might take some time and overshoot its budget, but in general, I believe that IFR should be less expensive than the current reactors in vogue. The same might be said about the LFTR ? We should ask Charles. The rivalry between oRNL and ARgonne, goes back to the Manhattan project when both Fermi and Wigner had staffs. After World War II, Fermi took his staff to Argonne, while Wigner took his staff to OPak Ridge. The truth is that Wigner's staff was more creative, and even though ORNL was not suppose to be a reactor lab, Wugner's former assistant, Alvin Weinberg, was a brilliant reactor designer. His views were developed from Wigner's ideas, while Argonne continued an idea that Wigner had originated, but rejected, the sodium cooled reactor. Of course ORNL and Argonne were rivals. I gtrew up in Oak Ridge. My father worked on Alvin Weinberg's reactor projects for 20 years. Alvin Weinberg's son David was my childhood friend. Guess which side I am on.